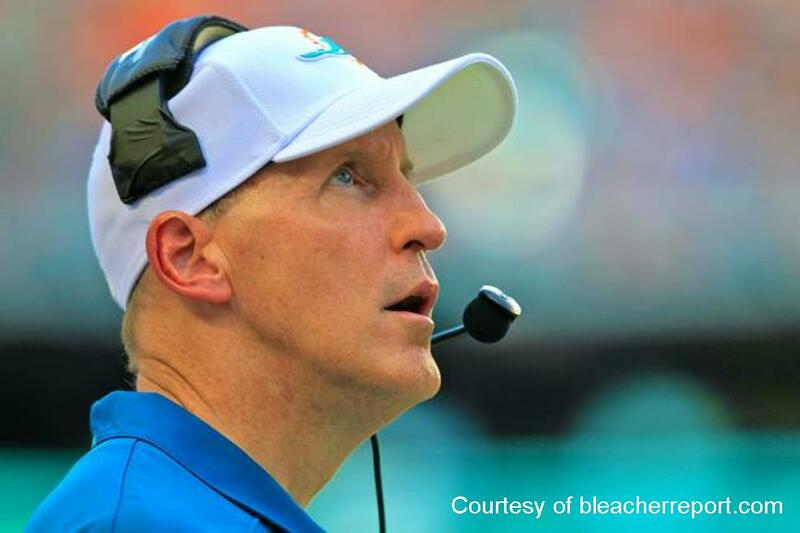 On Monday, October 5th, 2015, the Dolphins made the executive decision to fire head coach Joe Philbin. This was felt by many to be the best move for the Miami Dolphins organization. Owner Stephen Ross was very upset due to the off season signing of many all star players that costed the organization over 160 million dollars. After a very frustrating loss to to the Jacksonville Jaguars, Miami came home for the home opener and had a lopsided loss to the Buffalo Bills 41-14. The dolphins then traveled to take on the New York Jets where they looked dysfunctional on the field loosing 27-14. When they returned home Monday morning after landing in Miami from London Philbin was informed that the game versus the Jets was his last game coaching in a Miami Dolphins uniform.